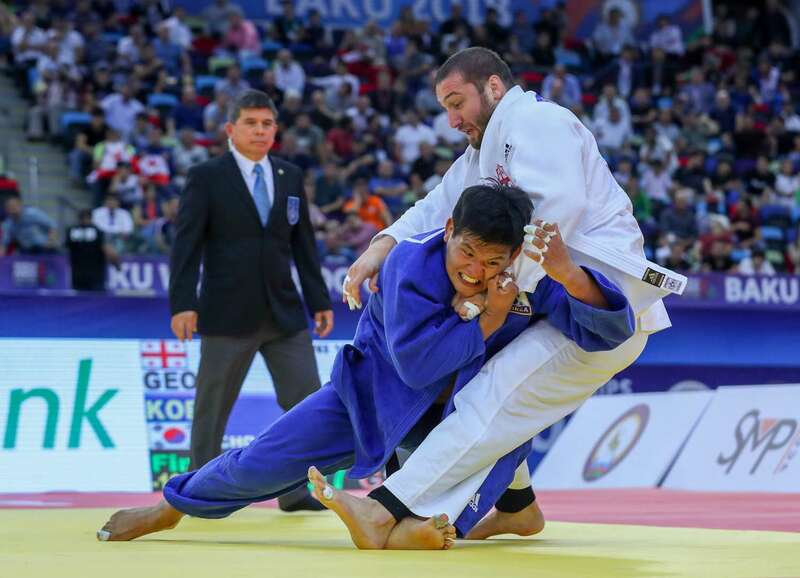 Japan claimed the -78kg title while South Korea earned -100kg gold on a day where defending world champion WOLF Aaron became the first Japanese to miss the podium in Baku. 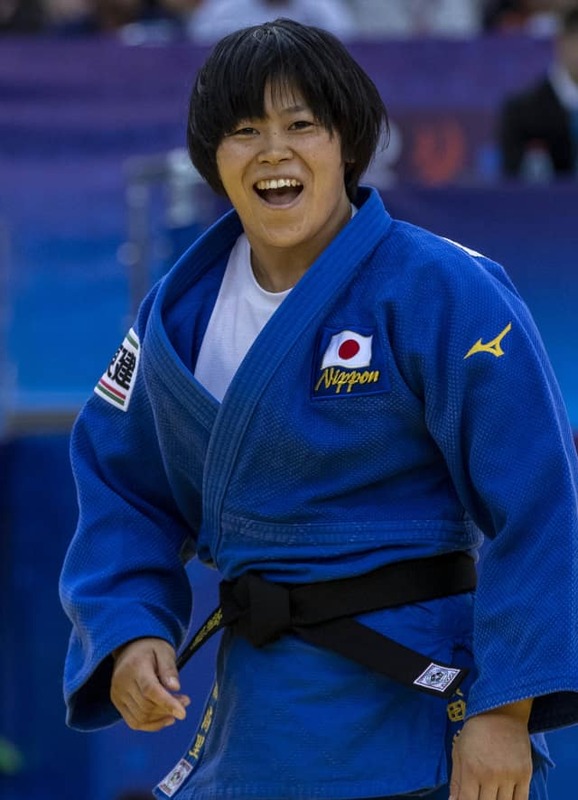 Tokyo Grand Slam winner HAMADA Shori (JPN) won World Championships gold at her first attempt as Japan’s gold rush continued on day six. HAMADA defeated world number one Guusje STEENHUIS (NED) in the -78kg final in golden score. There was nothing to separate the rivals in regulation time and golden score was required to produce a winner. 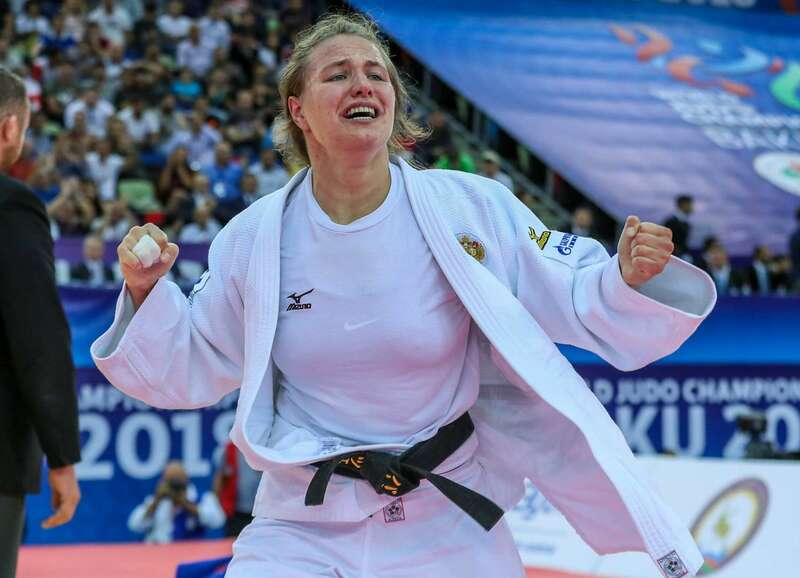 After five minutes of added time, STEENHUIS received her third shido for going out of the area to gift the Japanese the -78kg title. In the first semi-final Asian Games bronze medallist MA Zhenzhao (CHN) was conquered by STEENHUIS. China’s surprise package was countered by her Dutch opponent after 35 seconds to secure one more medal for the Netherlands and to relegate MA to a bronze medal contest. In the second semi-final 2009 world champion Marhinde VERKERK (NED) fell to HAMADA from a hopping o-uchi-gari which earned ippon. The Dutch delegation were hopeful of a dream final between VERKERK and STEENHUIS until the Japanese struck with a decisive score to provide Japan with a further boost to their ever-increasing medal tally. In the first bronze medal contest VERKERK bested Katie-Jemima YEATS-BROWN (GBR) in golden score. British youngster YEATS-BROWN moved up to -78kg in May and after this performance will now remain there rather then her former category of -70kg. 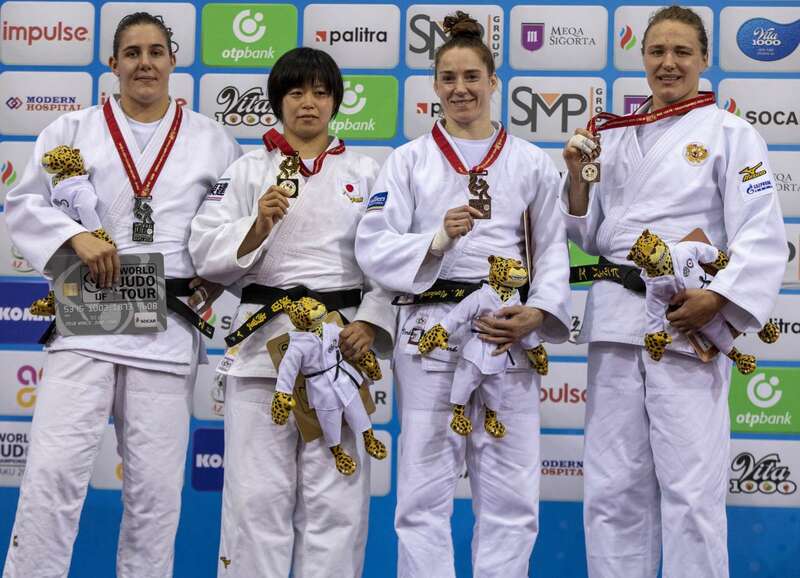 VERKERK, who finished fifth a year ago, avenged her Budapest Grand Prix loss to the Briton, by throwing with an ippon-seoi-nage in golden score to win her fourth World Championships medal. In the second bronze medal contest former Tyumen Grand Slam bronze medallist Aleksandra BABINTSEVA (RUS) had the measure of world number 34 MA. 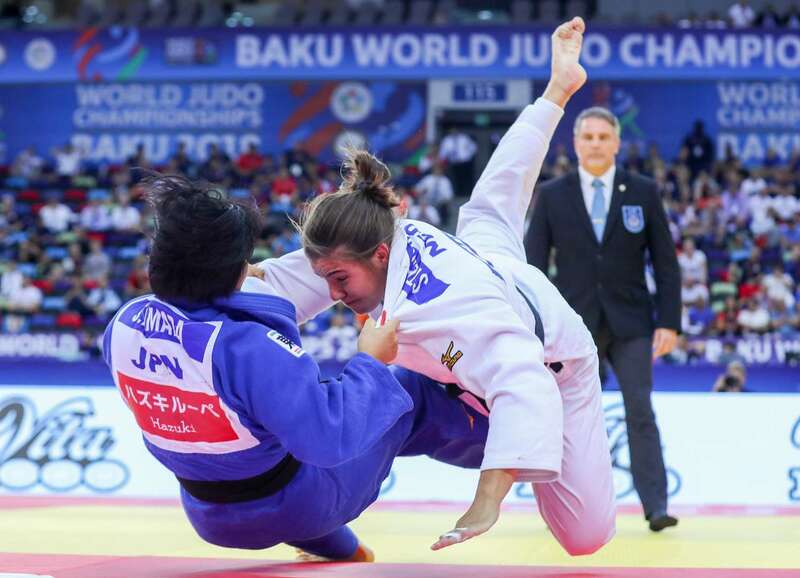 Both judoka were outsiders at the start of the day but showed that anything can happen in judo as they both fought their way into the final block. The Chinese judoka won bronze at her home Grand Prix in Qingdao in 2016 but had to submit to a juji-gatame from the Russian. Two-time Grand Slam winner CHO Guham (KOR) won his first World Championships gold medal to send South Korea to second place in the medal table. 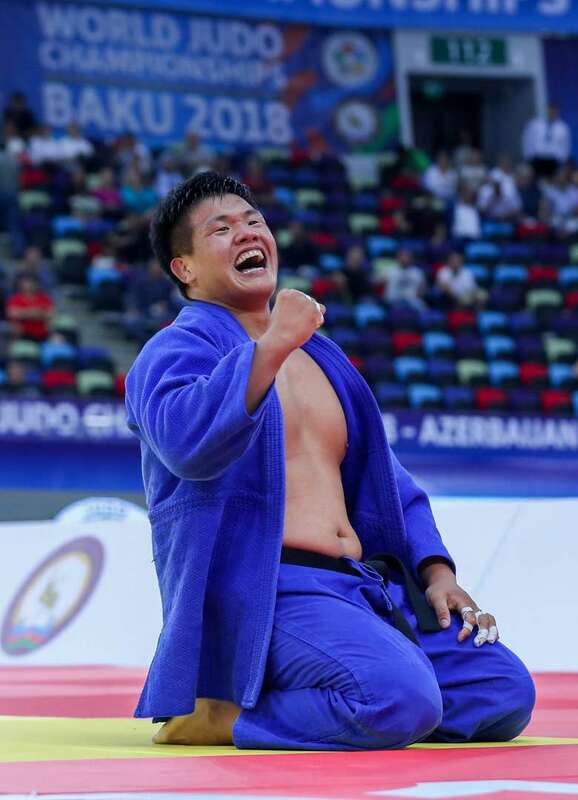 CHO, who took silver at the Asian Games last month, squared off against Olympic and world silver medallist Varlam LIPARTELIANI (GEO) in the -100kg final and there was great support for both men. Golden score was summoned after a four-minute stalemate between the two stars who were facing off for the first time. Five minutes of additional time was required as CHO was finally able to get under the Georgian and throw for a waza-ari score. The beaming smile of the South Korean was in stark contrast to LIPARTELIANI who lost a World Championships final for the third time. CHO won his first medal at the IJF showpiece event while LIPARTELIANI now has three silver medals and two bronze. In the first semi-final LKHAGVASUREN Otgonbaatar (MGL) lost out to LIPARTELIANI. 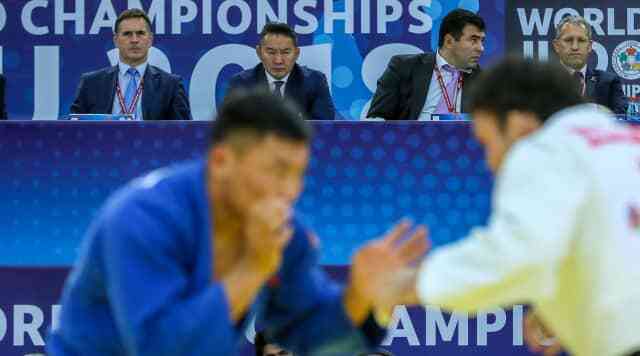 The Georgian scored a waza-ari with twenty seconds left on the clock for a place in the final while the Mongolian had to regain his composure to go for bronze. In the second semi-final Ekaterinburg Grand Slam winner Niyaz ILYASOV (RUS) was outperformed by CHO. 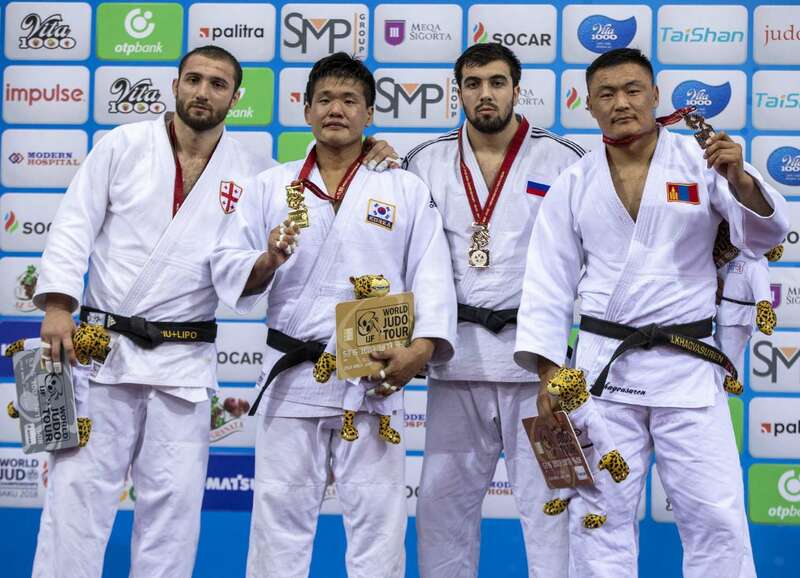 There was nothing to separate the rivals until golden score when the 2015 Junior World Championships gold medallist from Russia was thrown with a low morote-seoi-nage for a waza-ari score. In the first bronze medal contest ILYASOV resisted 2009 world bronze medallist Ramadan DARWISH (EGY) in golden score. After four more minutes ILYASOV won the biggest medal of his career by throwing with a tani-otoshi for ippon. 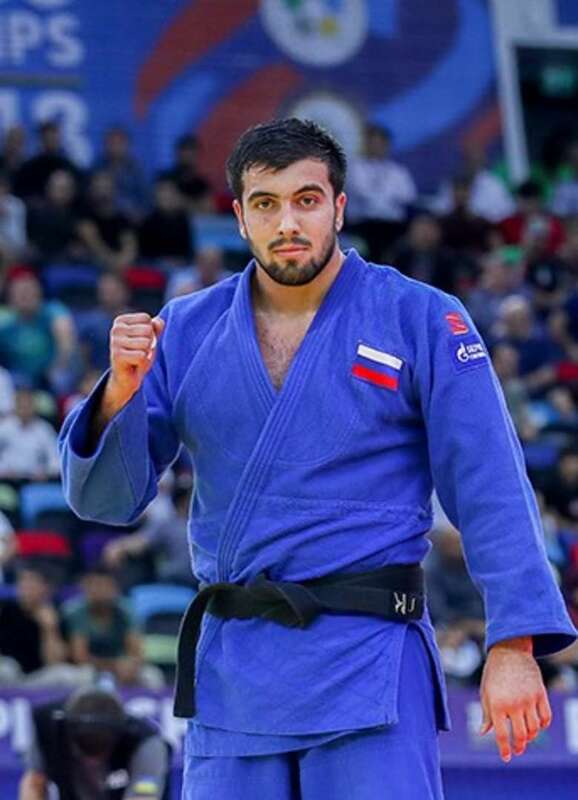 The Russian youngster is part of a new generation who are now establishing themselves on the IJF World Judo Tour with the aim of being medal contenders at Tokyo 2020. 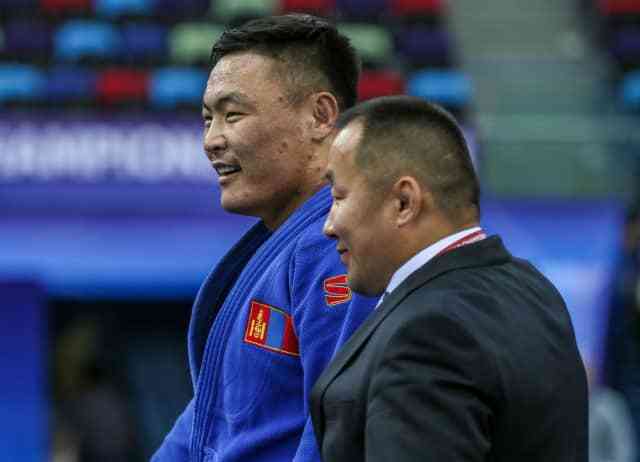 In the second bronze medal contest LKHAGVASUREN won his first World Championships medal in front of the President of Mongolia, H.E. BATTULGA Khaltmaa. The Mongolian, who moved up from -90kg last year, won his first contest against the defending world champion WOLF Aaron (JPN) by ippon with te-waza. LKHAGVASUREN bowed to President H.E. BATTULGA Khaltmaa and gave him a thumbs up before going down to his knees and kissing the mat. The world number 24 waved to his travelling fans who proudly waved their flag in the stands.